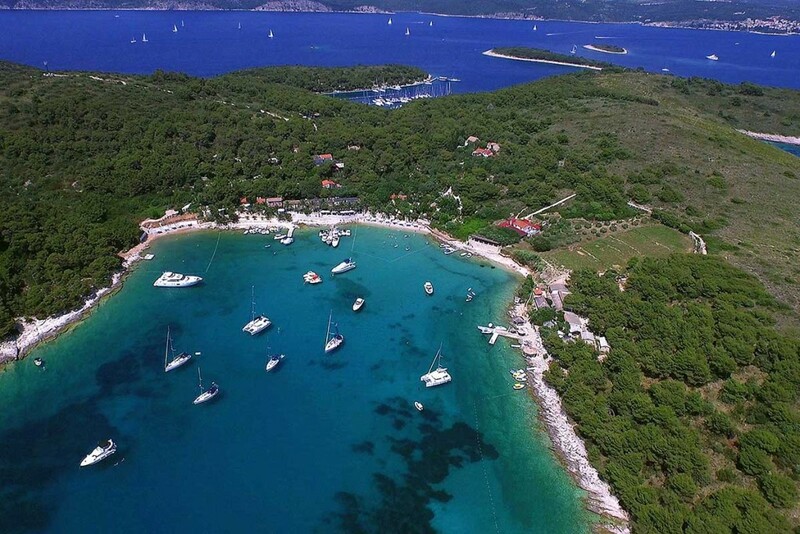 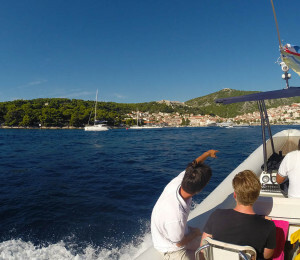 One of the most interesting island tours from Split is for sure a boat tour to Hvar and Pakleni islands archipelago. 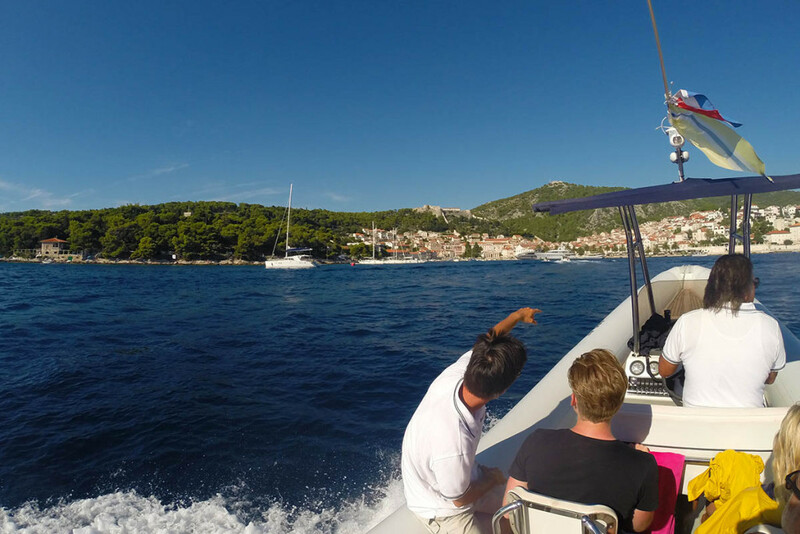 We give you the opportunity to tailor this tour according to your wishes as it gives us much more opportunity and flexibility to present this magnificent area to you in its best light. 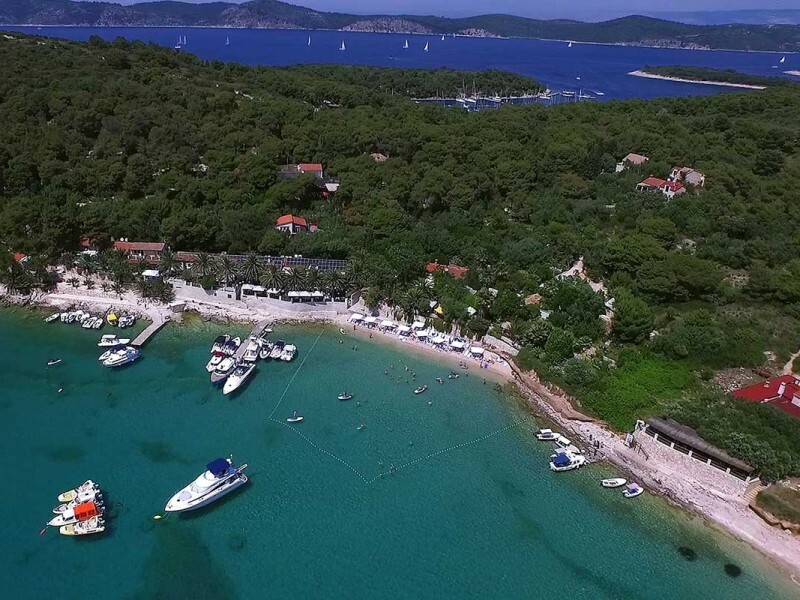 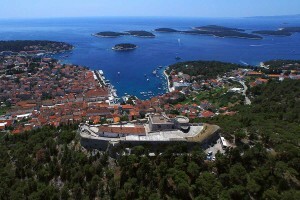 Below is a suggestion of the Hvar tour and its itinerary. 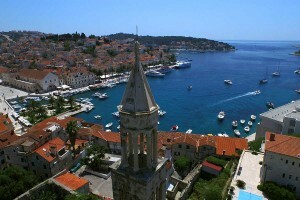 Because this is a private tour we can change this itinerary according to your wishes. 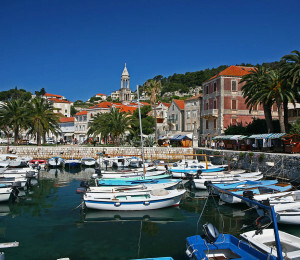 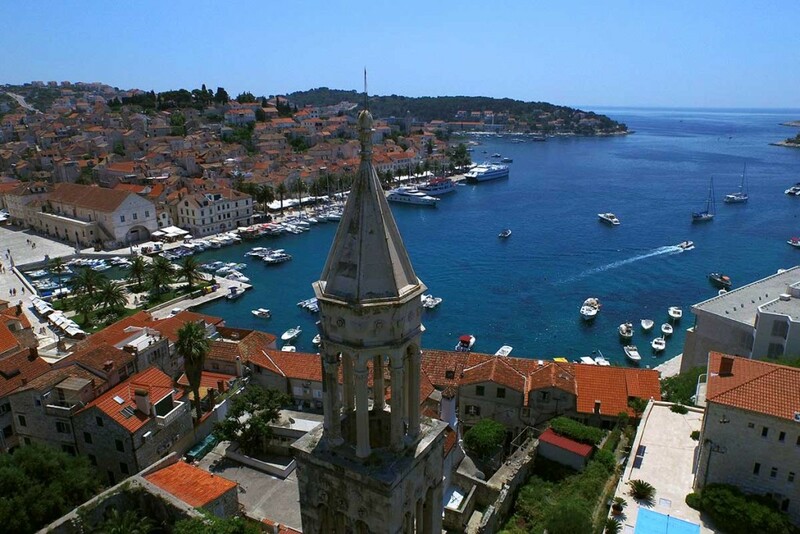 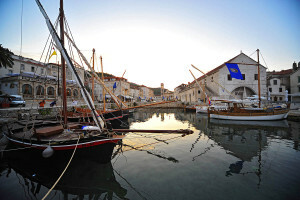 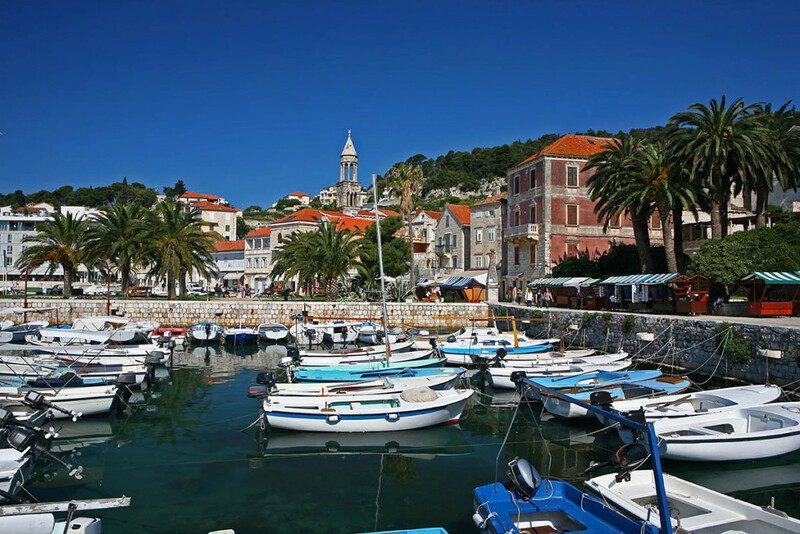 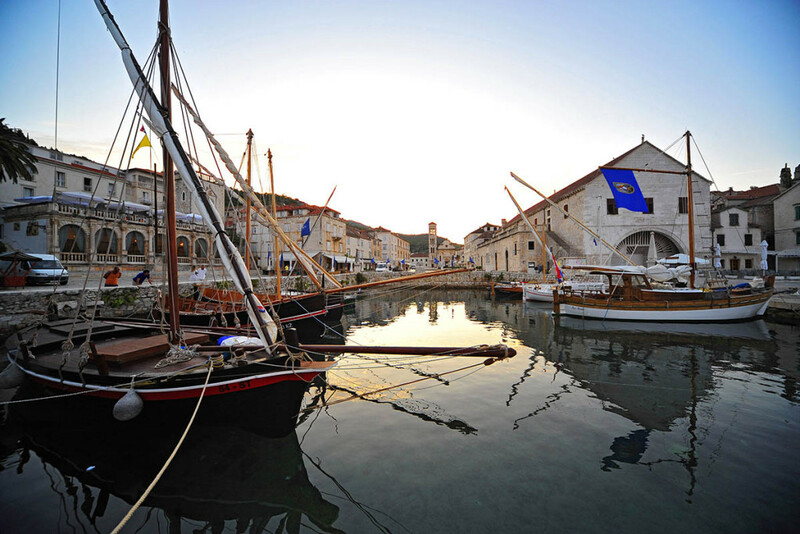 The pearl of Split islands, Hvar town has a long and rich history as a cultural and tourism center of the Adriatic. 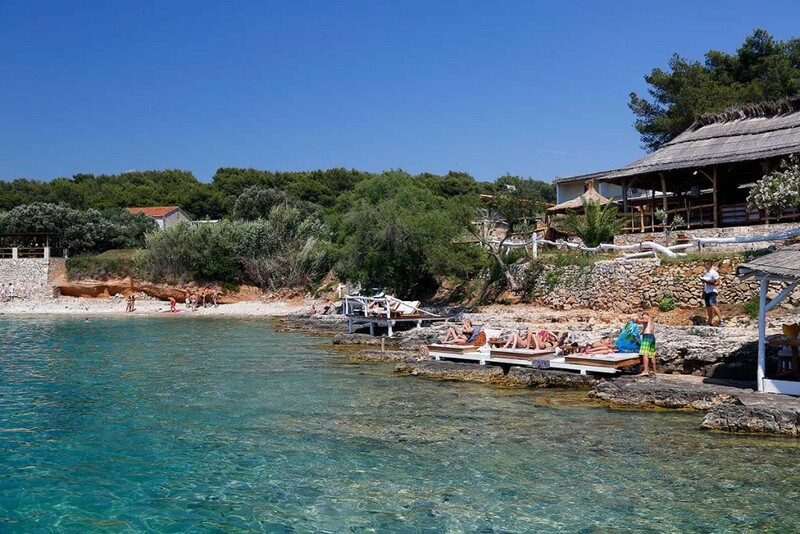 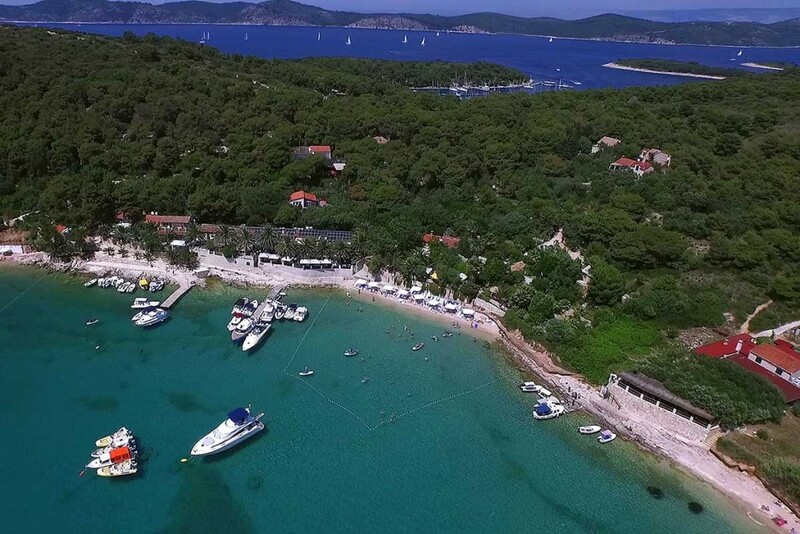 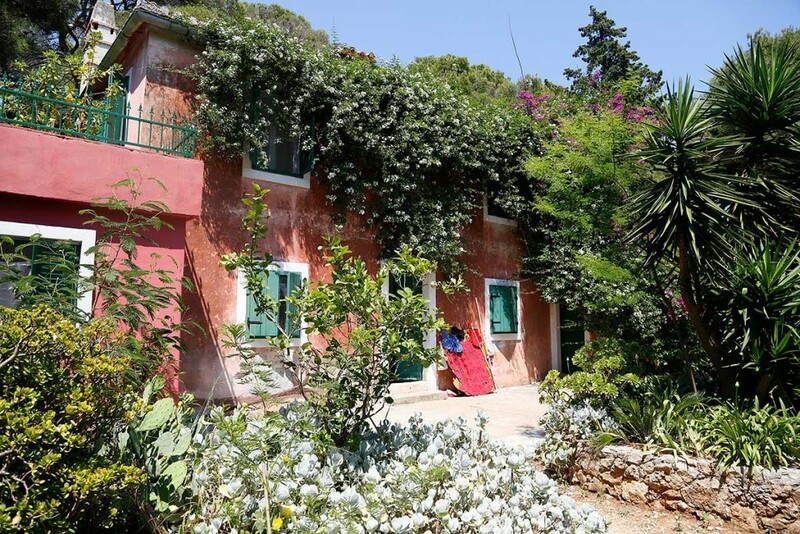 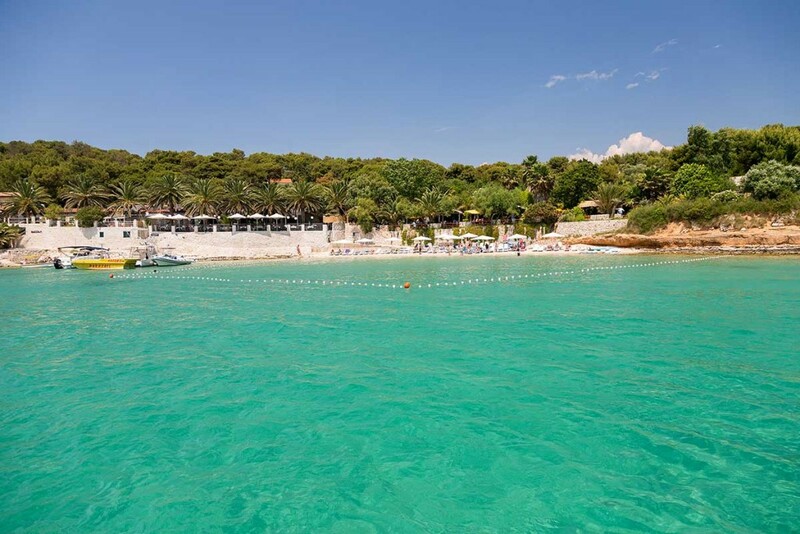 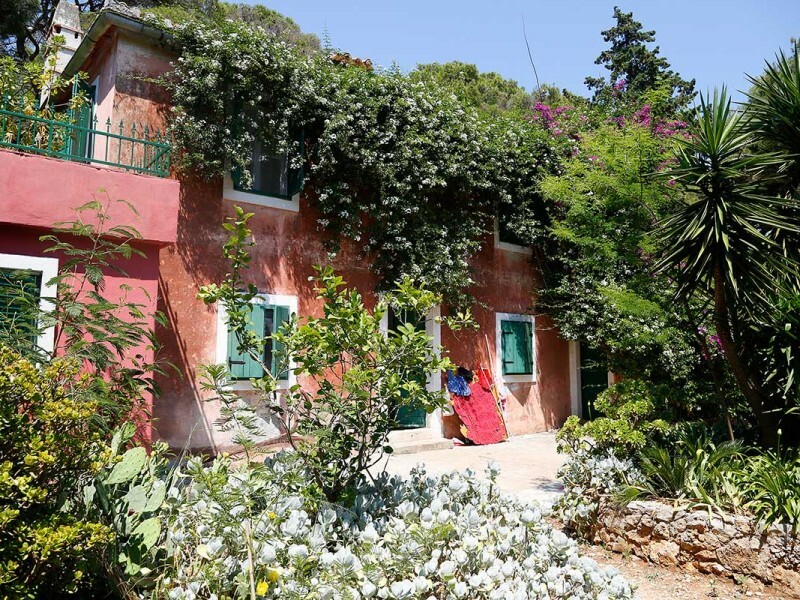 Numerous small islands with hidden beaches and bays, rich with fish and authentic Mediterranean restaurants. 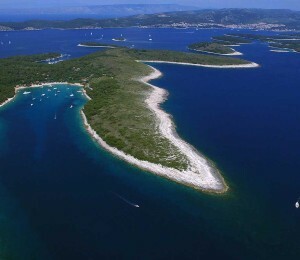 After we leave the port of Split it will take about 20 minutes till we reach the Gates of Split, a small canal between the islands Brac and Solta. 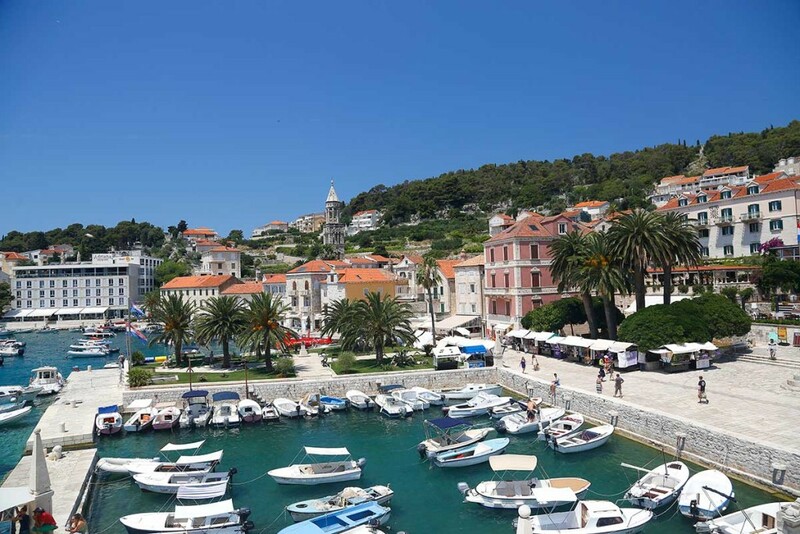 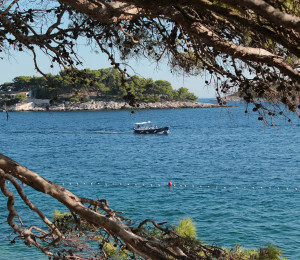 As we pass through the gates the island of Hvar will be in your clear sight: its beautiful green hillsides covered in pine forests, with vineyards, olive groves and lavender fields. 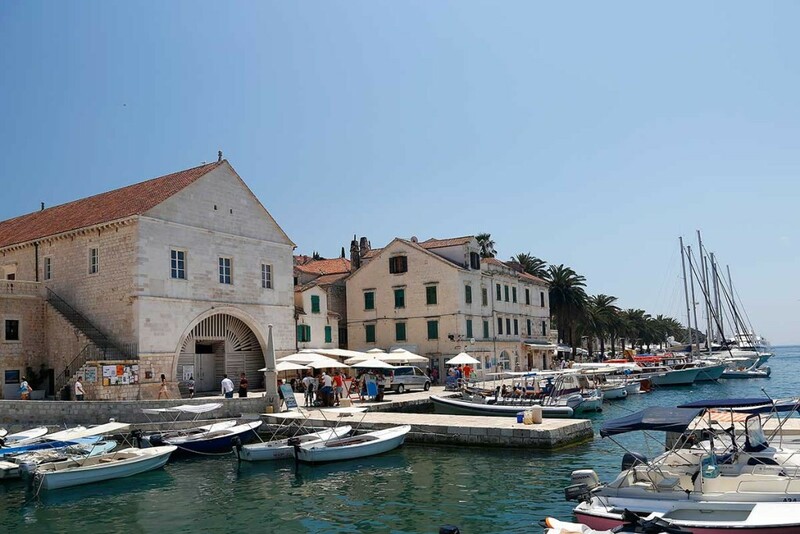 It will not be too long until we reach the port of Hvar, which by the 19ths century was a military base but after that took a turn and became one of the oldest tourist cities of Europe. 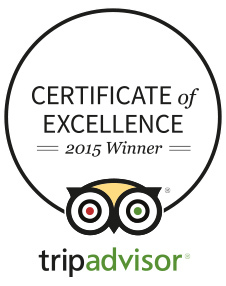 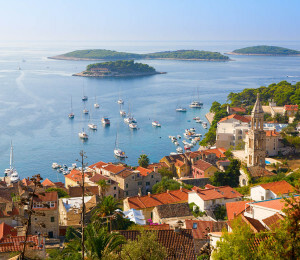 Today it is one of the most recognized destinations in the world. 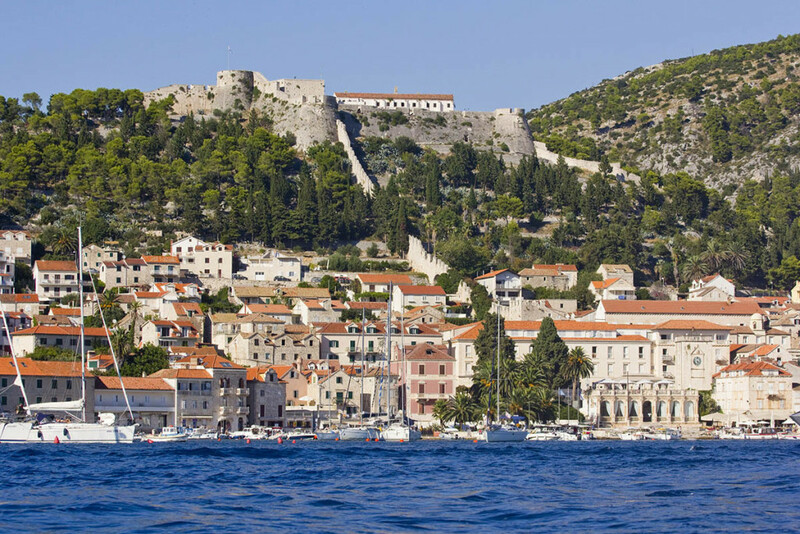 A wide seaside promenade, beautiful venetian stone houses and a mid 16th century fortress looming above them welcome us as we enter the port. Marble streets reveal one of the largest squares in Dalmatia, The St.Stephen square as well as the prized Cathedral of St. Stephen and the Renaissance theatre. 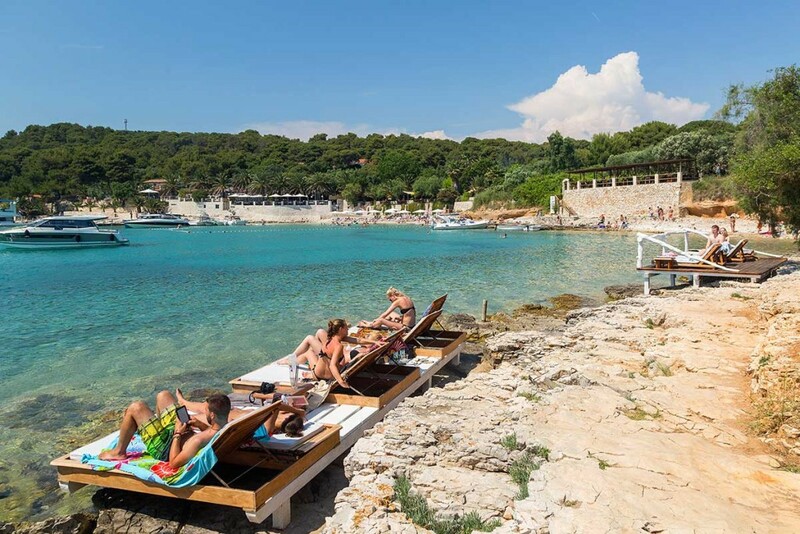 Gorgeous pebble beaches, luscious restaurants and boutiques are just a few of the treats you can enjoy on this dream of an island. 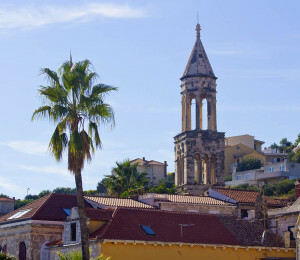 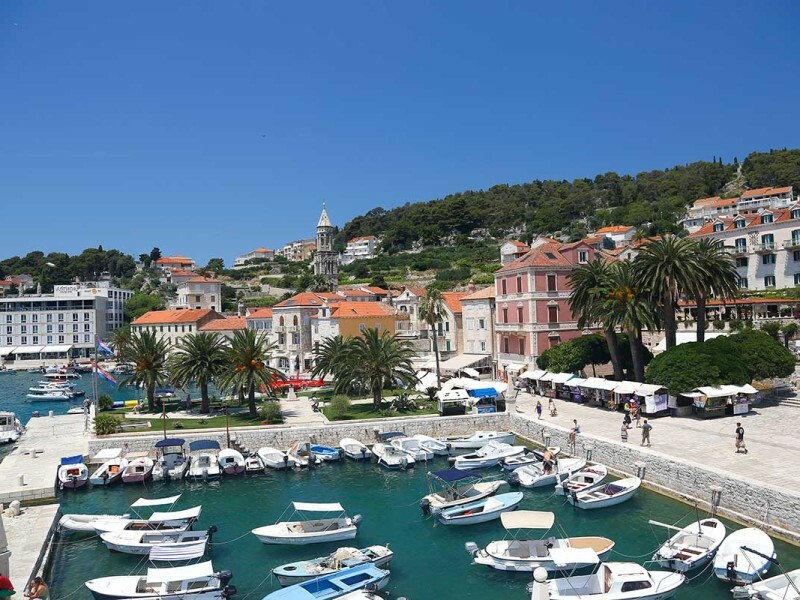 You will have enough time in Hvar to explore the city streets, beautifully ornamented Gothic palaces or relax in one of the numerous bars and restaurant by the sea. 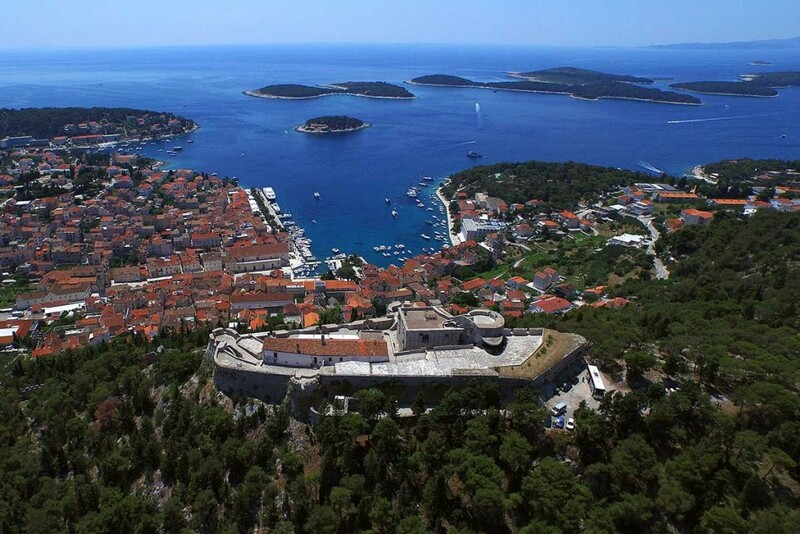 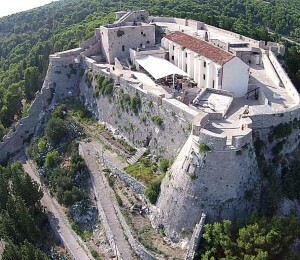 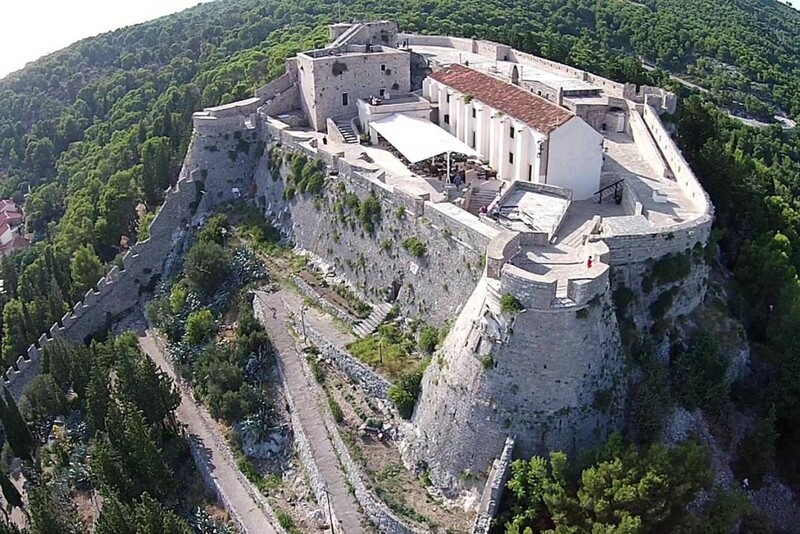 The one thing you should not miss is a visit to Hvar’s most recognizable landmark: the Fortica fortress. 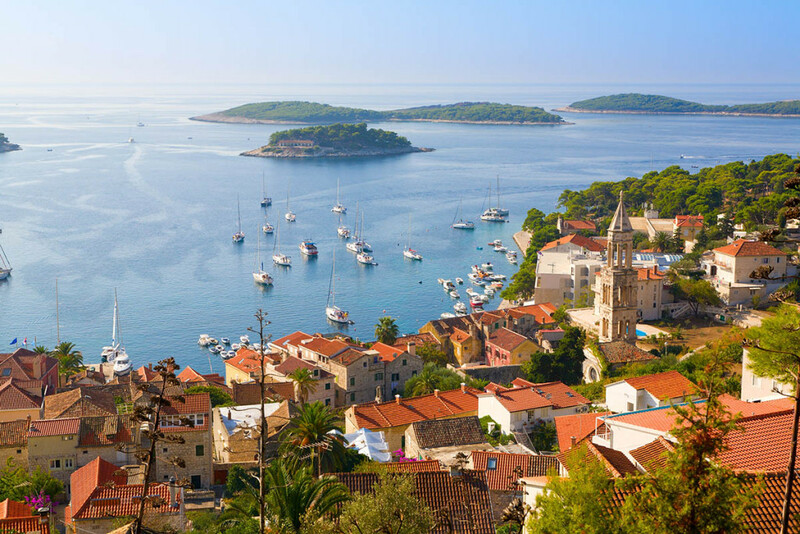 It is an easy walk and well wort it because of the most magnificent view stretching from the city’s grey stone houses and orange cascading roofs all the way to the Pakleni islands. 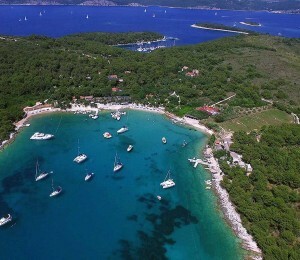 Pakleni islands is a beautiful island archipelago formed from limestone and located just outside of Hvar town to the South-West. 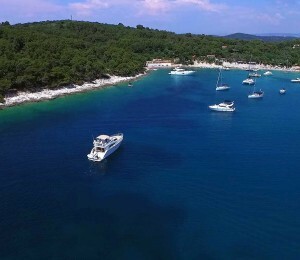 An old legend states that Pakleni islands came to be as a product of secret love between Poseidon, the Greek God of the sea, and a nymph. 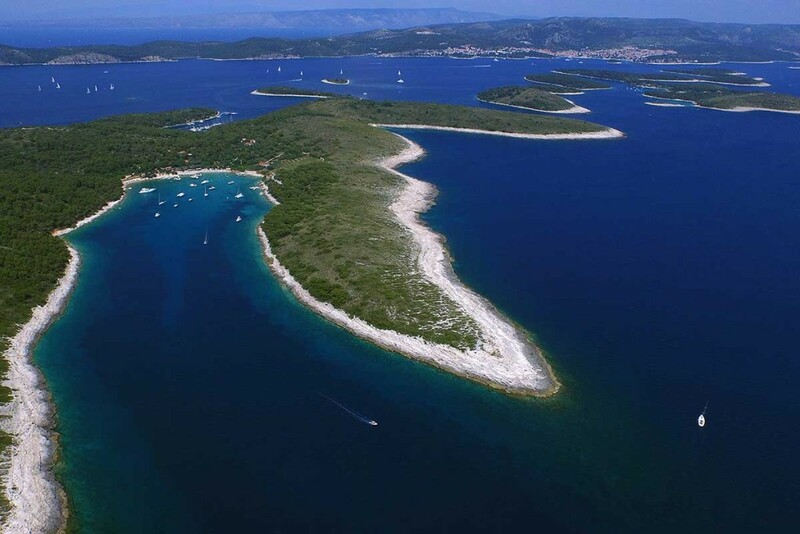 We will navigate our boat through series of canals between Pakleni islands revealing you the intact nature and all the beauty of this archipelago. 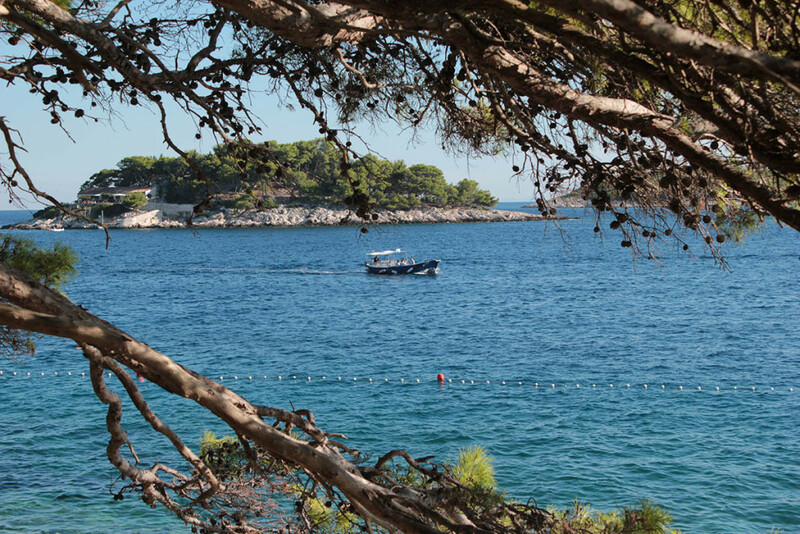 The name Pakleni is popularly translated as Hells’ islands, but it originally derived from paklina or the pine resin once used to coat ships that was harvested on these islands. 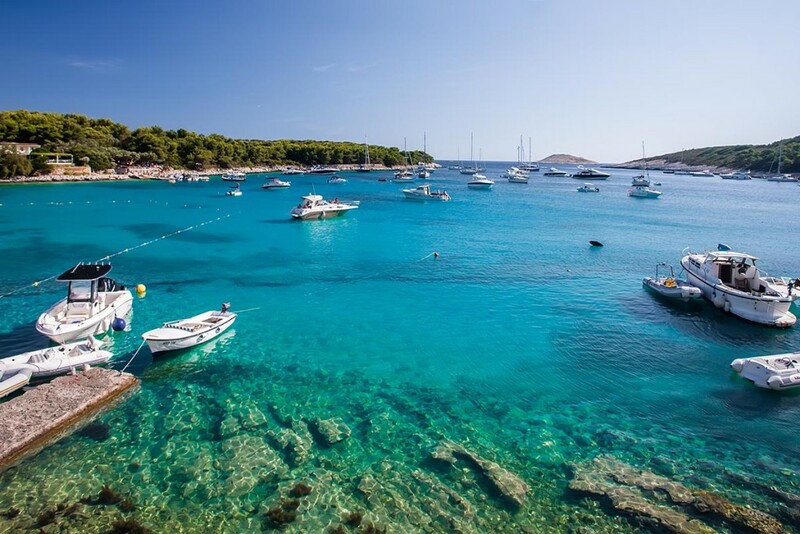 The islands are a popular destination for visitors with yachts and smaller boats, hiding tiny inlets and secluded coves perfect for diving, swimming or underwater fishing. 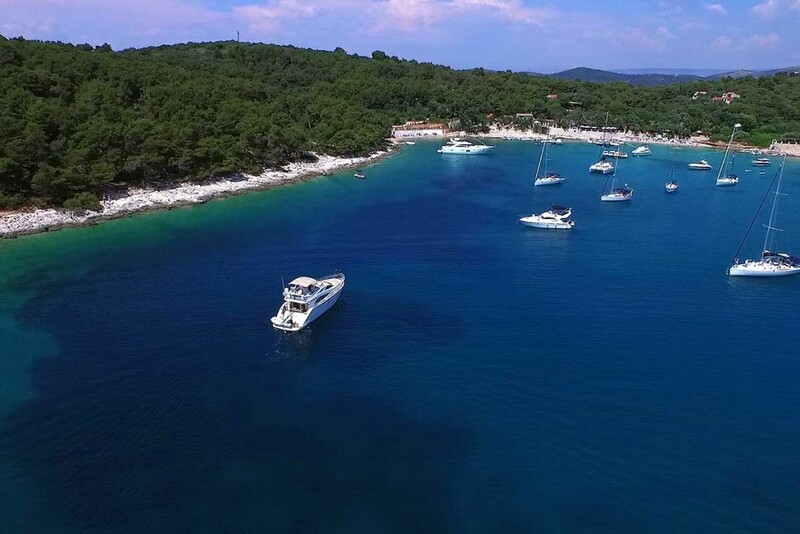 So pick your perfect spot and let us take you there and leave you to dive in the crystal-clear blue sea, enjoy a picnic or a bottle of wine. 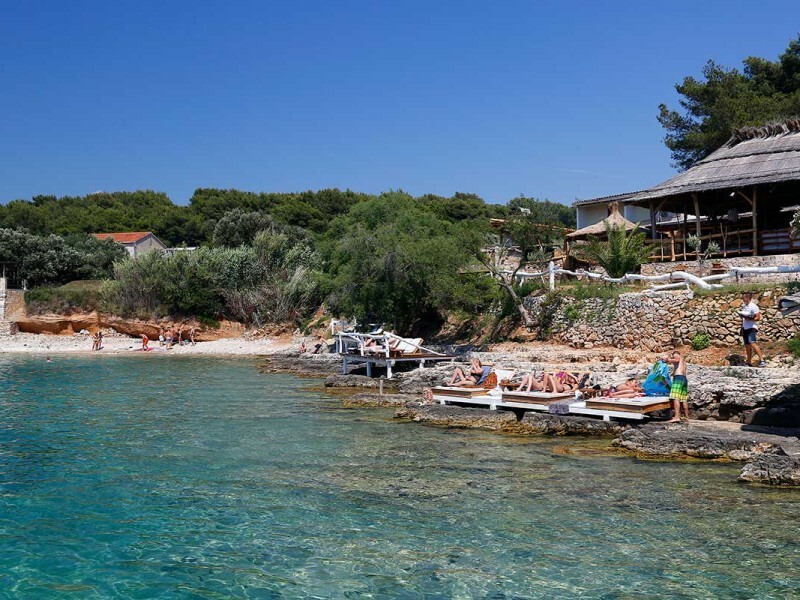 If you choose to have lunch instead visit Palmizana on the island St. Klement, which hosts a number of restaurants with exquisite selection of freshly caught fish and sea shells. 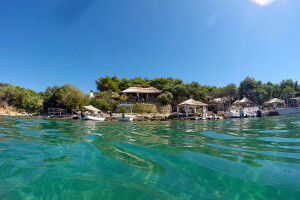 We recommend you to visit the famous restaurant Zori for some fine dining and an unbelievable view of Palmizana bay. 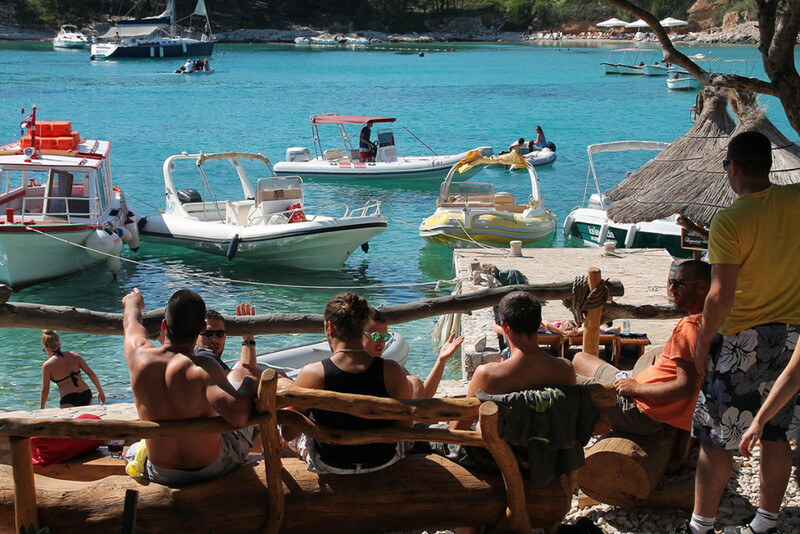 Besides the restaurants from where you can enjoy the unprecedented views of Palmizana bay, you can also do it from the famous Laganini beach with an icy cocktail in hand and great music in the background. 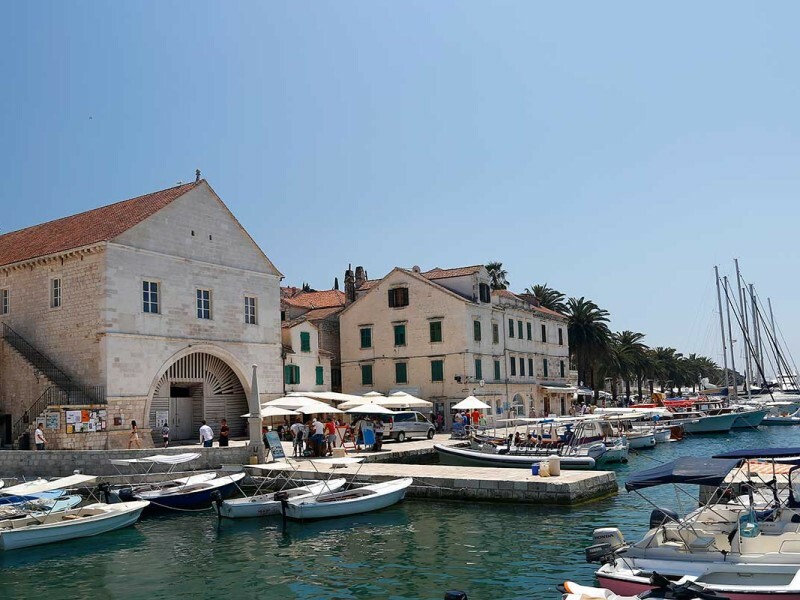 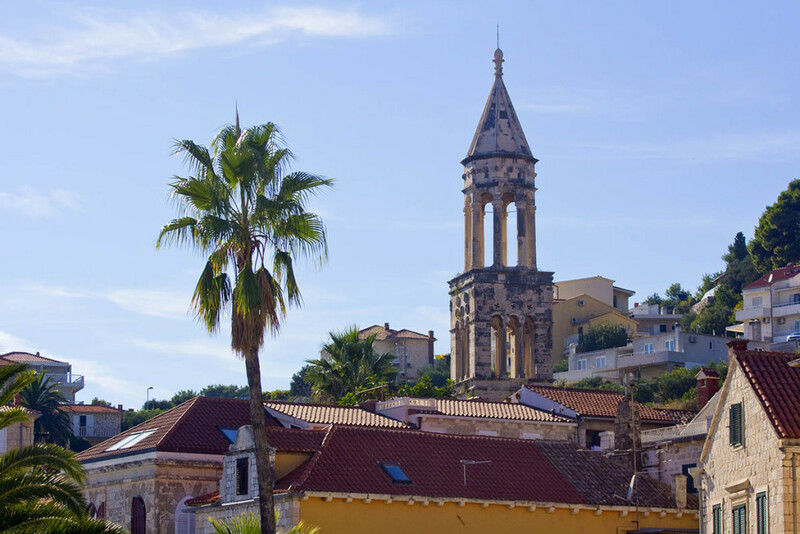 On our way back home we will make a stop in Milna, a charming seaside village on the island of Brac where you can get a chance to enjoy a local wine tasting of authentic wines. 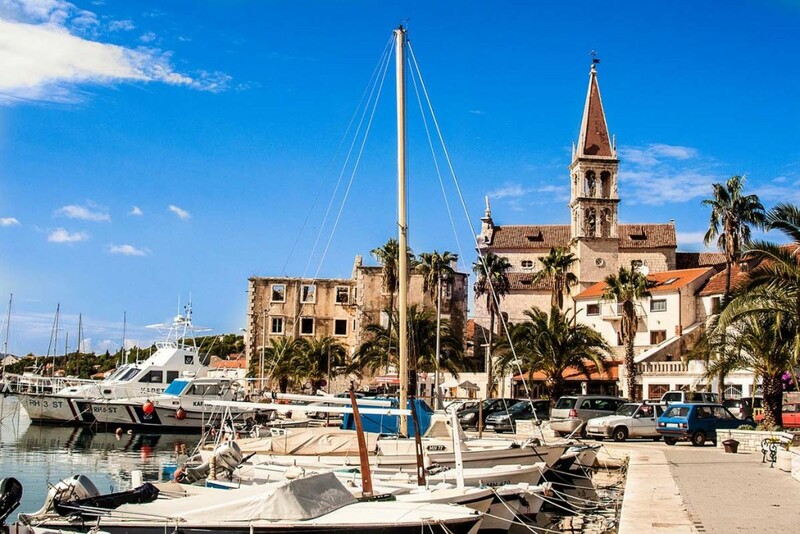 After enjoying a full day on these sun-kissed Croatian islands, relax and enjoy a serene cruise back to Split. 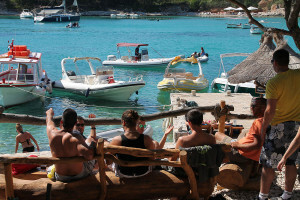 Free pick up (subject of availability), snorkeling gear, water/windproof jacket, safety equipment, insurance. 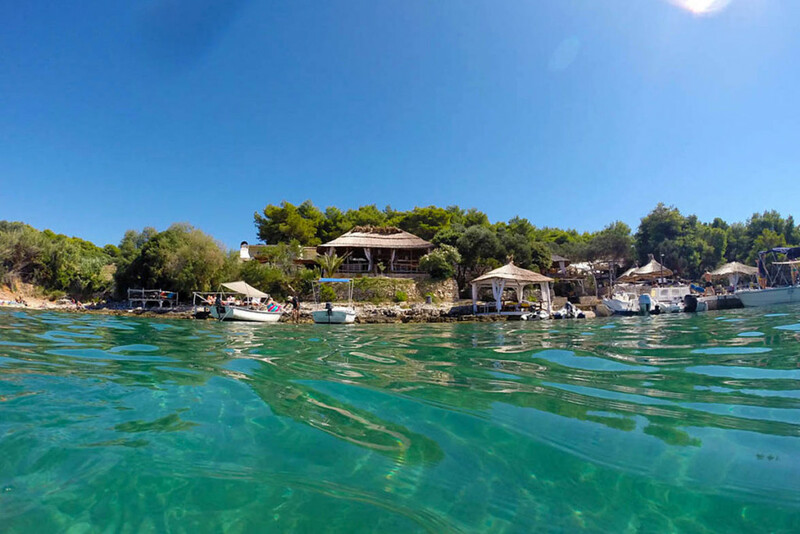 Since sea around Hvar and Pakleni islands is extremely clean it is a great setting to take underwater photos. 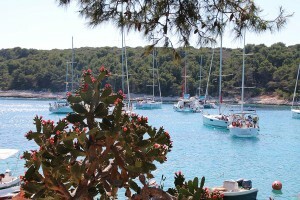 We do complimentary pick up and drop off with our boats. 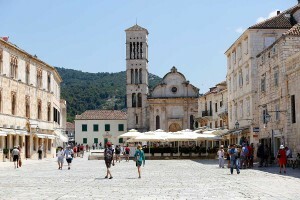 Service covers the areas spanning from Podstrana to Split.